I remember reading a book when I was in High School called What Kids Need to Succeed. I also remember that in that book, it talked about how children rise to your expectations. If you expect them to be great, they will be. If you expect them to fail, they will. That has always stuck with me. Children really are amazing. They are wonderful. Perfect? No. Do they have bad days? Yes. Do they sometimes drive us crazy? Absolutely. But that doesn’t mean that they are not wonderful! 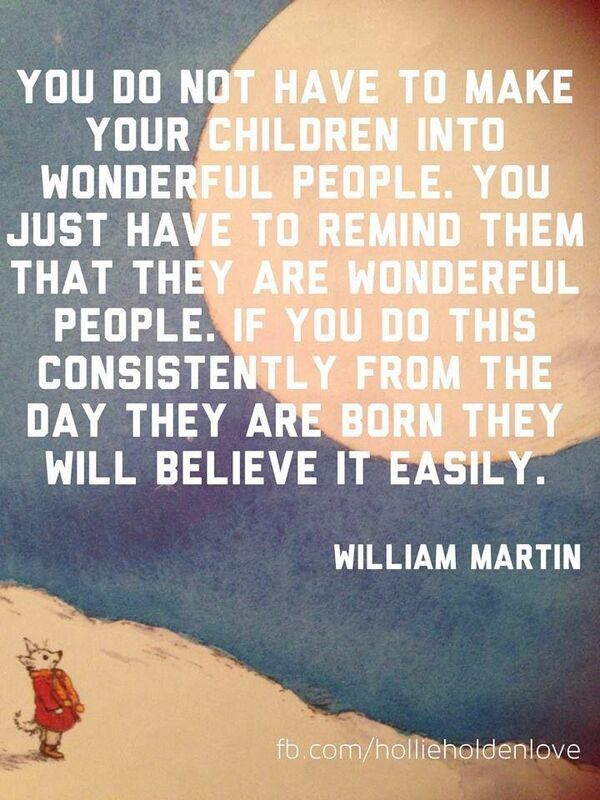 When you believe a child is wonderful and full of potential, he or she will believe it also. I have a story to illustrate. I recently directed a musical at our elementary school. I really wanted my children to be able to have the experience and I figured if it was going to happen, someone was going to have to be willing to be in charge. So I did it. It was scary and I had no real idea what I was doing, but I had a lot of great help from a lot of amazing people and the whole thing was a success! We did it all with a lot less rehearsal time than is ever done for a show. Despite that, we received raving reviews. Afterward, my husband asked me what I thought was unique to what we did that made it so great. Was it organization? Good time management? Those things could have been it, but I figured the organization and time management just meant we could accomplish the same amount of work in a shorter amount of time. So that wouldn’t be it. I pondered on it for a week and decided that I think what made such a difference was that I believed in those kids. I never had a doubt or worry that they would be able to pull it off. I just knew they could. If a student was personally worried, I would work with that student one-on-one and let that student know what I thought he/she could do. As I pondered this, I remembered the idea of children rising to expectations. We never had an expectation other than that it would be great. Those children had a whole team of women who believed in them. There is of course always a fine line to things. You can expect children to be many things that they can’t be. We can put pressure on children that they aren’t equipped to handle. Just like I recently wrote about, you can’t expect a horse to sprout wings and fly. It is our job as parents to figure out how much expectations to have in our children. This is a very hard thing to figure out as parents. Do the best you can, apply expectations with a pure heart (don’t try to live your regrets through your children), get to know your children, and always remember prayer as you traverse parenting. In the end, remember children are wonderful. If you believe it, your child will, too.